The Abdi Academy in Dembi Dollo has had the addition of 40 bright smiling faces as we welcomed new students into Kindergarten 1. The new Stand by Me boys and girls are excitable and playful but all of them have come from very disadvantaged families. Dembi Dollo is a desperately poor town and many of the families live in one-roomed mud huts and live on barely any income. Suffering from malnutrition and too poor to afford school resources, many children are unable to attend school and as a result, have little hope for the future. Now in our care, the children will receive a great education which will help them achieve their dreams of becoming doctors, engineers and pilots. They will also greatly benefit from breakfast and lunch each day to provide the correct nutrition to keep them healthy, growing and able to concentrate in their lessons. For the children’s families who are the poorest of the poor, struggling to provide for their children and pay the rent on their small mud houses, they will be helped through our family support programmes. When the children’s families are supported and doing well, they can provide for their children and our children will thrive as a result. 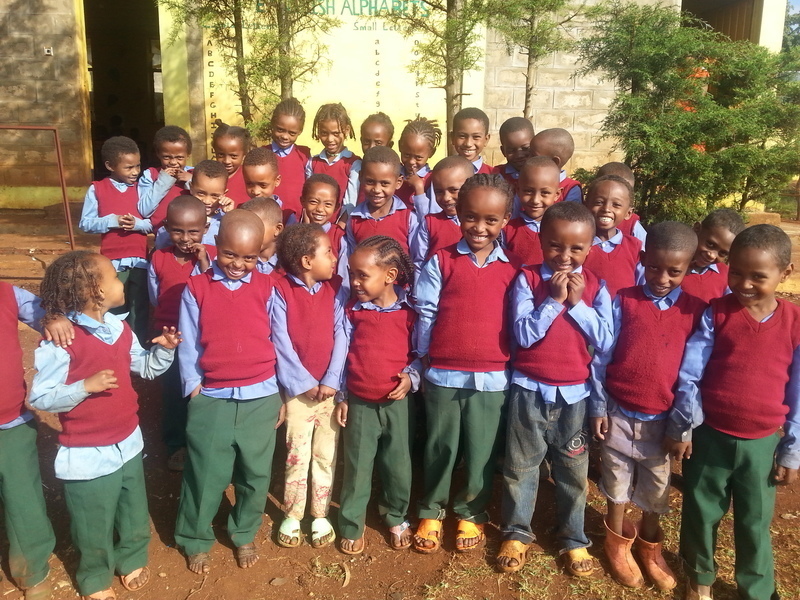 When the 40 students joined the school they each received a new uniform. The smart colourful uniforms give the children a sense of belonging and dignity. We want all our children to have a well fitted and comfortable uniform each year so that they can walk with pride. You can see by the smiles on their faces just how much excitement a new uniform can bring to our children. You can buy a new uniform or similar gifts to transform the lives of our children from our Gift Catalogue. Remember the deadline for Christmas Catalogue orders is the 16th December so get your orders in quick. Students and teachers alike at Immanuel School, suited up in their ‘onesies’ on Wednesday 16th December not because they were cold, but because they were raising donations to buy shoes for the kids in our care. Our children’s faces were beaming with pride last year when we handed every child in our care a brand new pair of shoes! This year let's do it again!